Holly is Dr. Mackie’s dental hygienist. With more than 10 years of experience, Holly confidently performs dental cleanings and x-rays and offers oral hygiene instructions and education to her patients. Originally from the Boerne area, Holly earned her bachelor’s degree at The University of Texas Health Science Center at San Antonio. Working with Dr. Mackie and his team, she particularly enjoys all of the new technology that is incorporated into the practice. Holly and her husband have three children, three dogs, a cat and chickens. In her spare time she practices yoga and enjoys outdoor activities such as hiking and gardening. For all the years Dr. Mackie has been practicing dentistry—and that’s now more than 31 years—Dolores has been a dental assistant in his practice. She assists him during all procedures, takes x-rays, impressions and photos, does all ordering for the office clinical supplies and helps with treatment planning and coordinating appointments. 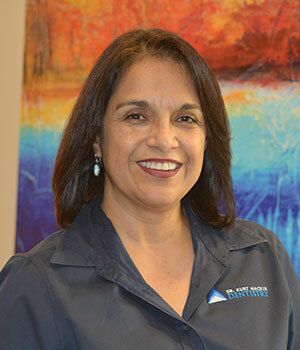 Originally from Harlingen, TX, Dolores moved to San Antonio in July 2015. At work, she particularly enjoys meeting new people and the chance to learn more. “I never get tired of learning new things or helping people be happy with their smiles,” she says. Dolores and her husband, Martin, have been married for 14 years and have two sons and daughter. In her spare time, she enjoys crossword puzzles, movies, bicycling and travel. 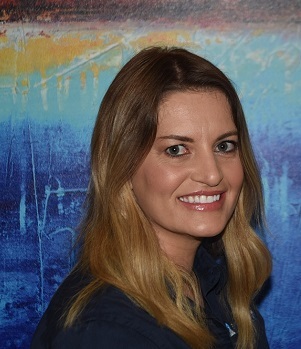 Rosie brings over 15 years of experience in the dental industry to our practice. As our front desk administrator, she can be found answering phones, scheduling appointments, calling insurance companies, and working on your account billing. She loves talking to people and building relationships, and she really loves how dentistry is always expanding and growing, so you always have to be learning new things. Rosie started out as a registered dental assistant before deciding to expand her knowledge into insurance and accounts receivable in order to better help people. She’s enjoying the opportunity to expand her horizons in the dental field. Outside of work, Rosie can be found hiking, shopping, seeing the sites, and cooking for her family and friends. She’s also involved in children’s ministry at her church in Boerne. 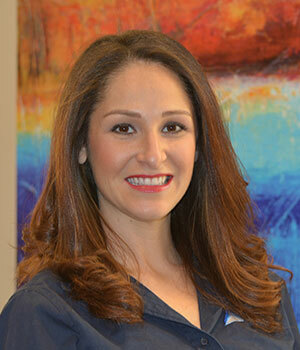 Tammy is the newest addition to Dr. Mackie's practice, a graduate of the San Antonio Dental Assistant School-LaCantera. She's always had a passion for health and wellness, and wanted a career growth opportunity that would be both personally and professionally fulfilling. She prepares the treatment room as well as the patient for any procedures that they might be having, and then assists Dr. Mackie with instruments and materials during the procedures themselves. Outside of work, Tammy has worked as a health and wellness coach as well as a fitness instructor. She is a member of the National Yoga Alliance and the Athletic & Fitness Association of America. She loves spending time with her family and friends, teaching fitness classes, being outdoors, and working out.